Bewitching may be the most appropriate word for Serpent Songs, a newer release from the publisher Scarlet Imprint, for each essay within it compels you into the world of the author. I crept through darkened hedges with Gemma Gary, walked goose-footed with Arkaitz Urbeltz and greased fetches with Sarah Anne Lawless. 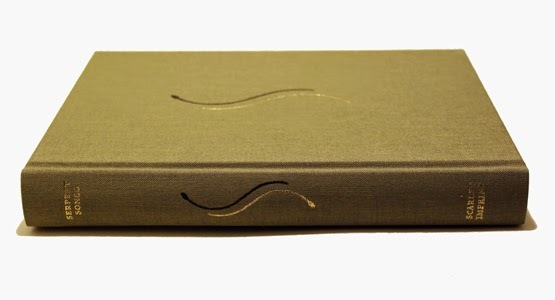 Serpent Songs is a remarkable book of fifteen essays written by practitioners from varying paths, and allows the reader a small peek into the beliefs and traditions of the author. Overall Serpent Songs is a wonderful collection. Although Scarlet Imprint is often lauded for their talismanic hardcover publishing, the ebook copy I read did not disappoint in the least. Each essay in the book was well written and engaging, exposing you to disparate cultures and beliefs through the eyes of the practitioners themselves. Serpent Songs is a must have for anyone who wants to expand their knowledge of various Craft traditions from around the world. Although this is not a how-to book for anyone interested in practicing any of these paths themselves, some of the authors provide references at the end of their essay for those interested in learning more. In terms of content this book earns an A+. On the note of price Serpent Songs is a bit of a wild card based on the edition you would like. While a hardcover is a bit pricy (but in terms of quality printing WOW are their books worth the cash), you can also purchase a soft cover or ebook for a very reasonable price. Who is this book for? Anyone interested in Craft, various paths and terrific writing. Definitely a good staple for any witch's library and would also make a fine Yule gift as well. Stay tuned for tomorrow's post: an interview with Scarlet Imprint! I am pleased to visit and read the article above, I wait for you to visit my blog and will thank you! It is your colourful blog that brings me a lot of knowledge.. I am pleased to visit and read the article above, ... thanks for sharing! This article is nice and I really like, thank you for sharing!